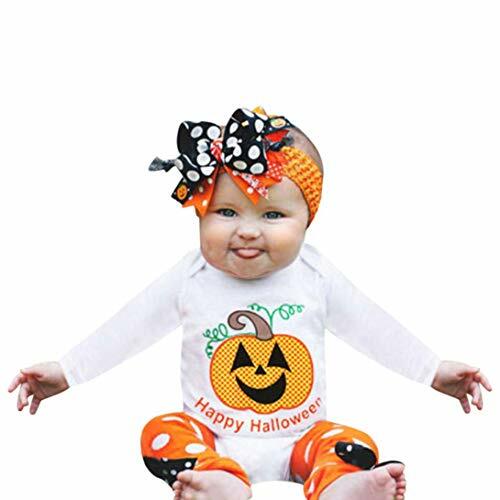 Baby can't wait to say a big "Hello" to her first Halloween! And she will stay warm throughout trick or treating! 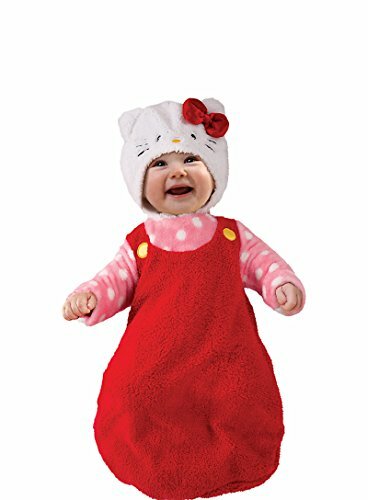 Hello Kitty Costume is a plush baby bunting featuring the design of Hello Kitty's signature red overalls with yellow buttons. This super soft and comfy Hello Kitty baby bunting has pink polka-dotted sleeves and an attached plush hood with Hello Kitty's face and red bow. Baby Bunting Hello Kitty Costume includes: Bunting and Attached hood. 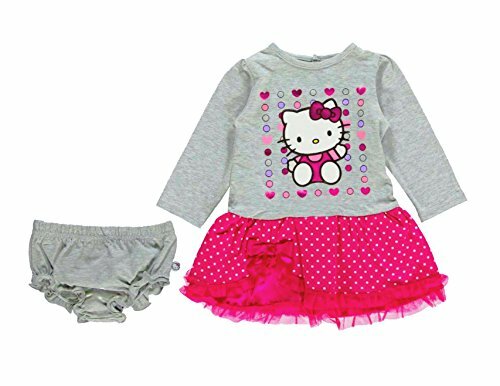 Size Infant 0-6 months Officially licensed ©Sanrio costume. 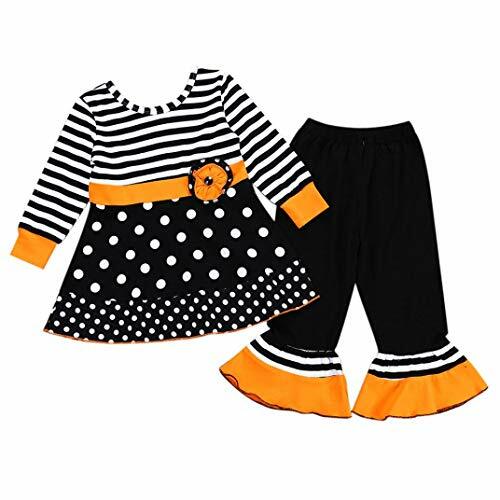 Hello Kitty Witch Classic Toddler Costume 3T-4T : Black dress with full multilayer skirt and sheer black sleeves has a Hello Kitty print on the bodice and includes a matching mini witch hat. 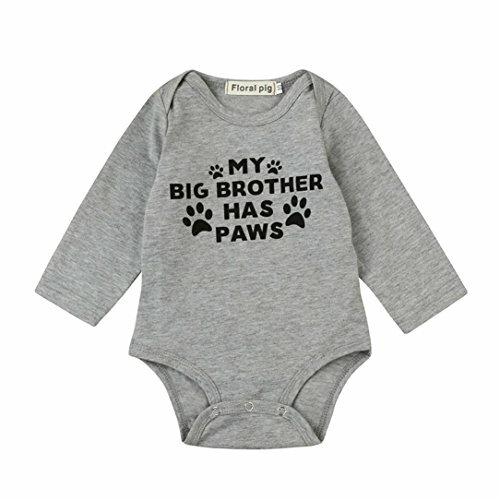 Toddler size fits sizes 3T-4T. Product Includes: One pair of character tights. 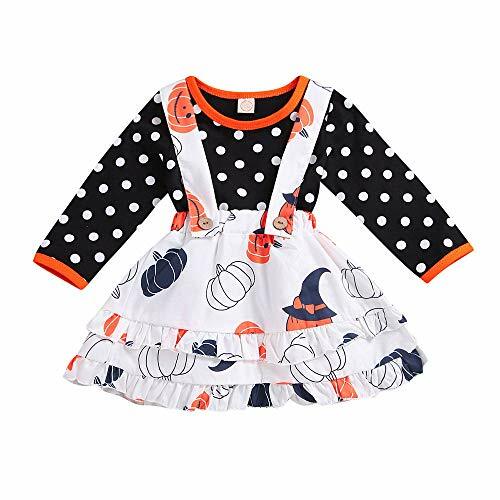 An Enchanting Little Witch Costume includes: Black dress with full multilayer skirt and sheer black sleeves has a Hello Kitty print on the bodice and includes a matching mini witch hat. Available Sizes: Toddler 3-4T Child 4-6 Child 7-8 Shoes are not included. 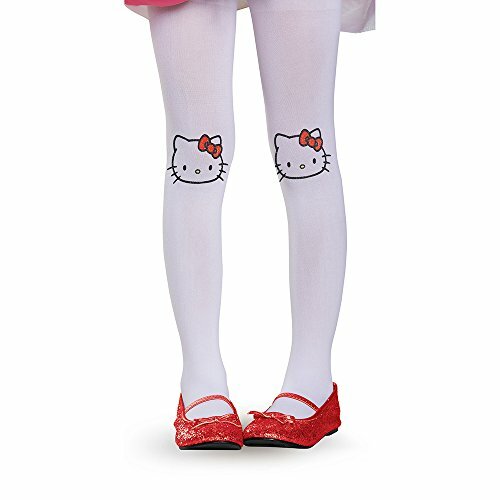 This is an officially licensed Hello Kitty costume. Note: 1. Colors may not appear exactly as seen on photo in real life due to variations between the computer monitors and naked eye color difference. 2. There may be 1 to 2cm error due to manual measurement. Shipping: The item will be shipped from China.so it need 15-25 days to deliver. Our product is good with reasonable price and we believe you will worth it.so please wait for it patiently! Any question please kindly to contact us and we promise to work hard to help you to solve the problem. About Return Request: If you dont need the item with worry , you can contact us then we will help you to solve the problem,so please close the return request!Thanks.